Why Choose Trivalent as Your SDS Partner? Have you adopted the new United Nations “Globally Harmonized System of Classification and Labeling of Chemicals (GHS)”? 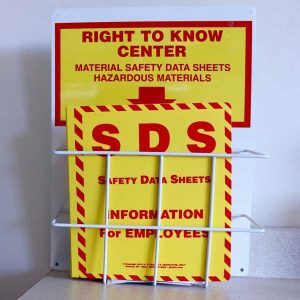 Your Safety Data Sheets (SDS) and labels must be prepared in accordance with hazard communication requirements of Canada’s Hazardous Products Regulations (HRP). Manufacturers have until June 1, 2018 to comply with the new regulations and distributors have until September 1, 2018 to comply. Time is quickly running out. A SDS and label that is compliant with the U.S. Hazard Communication Standard (2012) may not be sufficient for compliance in Canada. Suppliers and employers must be compliant with the Canadian requirements. This includes having a French language SDS and French WHMIS labelling. Trivalent Data Systems can help you be compliant with Canada’s updated Hazardous Products Regulations. Our experienced staff can create, reformat, and maintain your library of SDSs and labels. Save Time: Free up your employee’s time. Don’t burden you busy staff with the task of learning and correctly applying the new regulations. Let them do what they do best, and let us author your Safety Data Sheets and labels. That’s what we do! Professional Look: Professional looking documents. Maintain your company’s image with our high quality and compliant SDS and labels. Call us and talk to one of our SDS experts today, or request a quote online. We're here to help.